Competition or aging can lead to degradation of cartilage and the synovial fluid, the shock absorbing fluid in the joints. 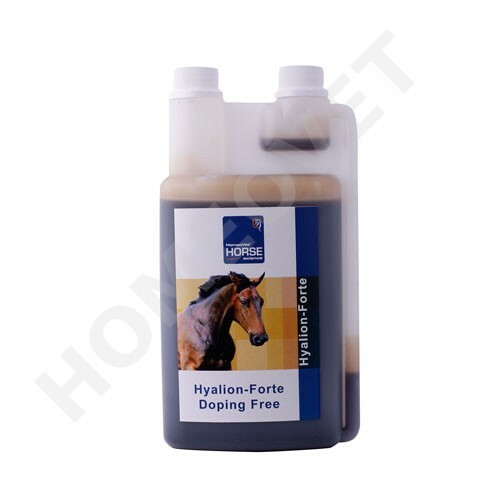 The active ingredient in Hyaluron Forte is hyaluronic acid, a major component of equine cartilage and synovial fluid. It improves joint function by lubricating joints, helping to maintain structural integrity, and increasing the thickness level of the synovial fluid. Including Hyaluron Forte in the management of joint pain may protect the joint by increasing the viscosity of the joint fluid, reducing inflammation.